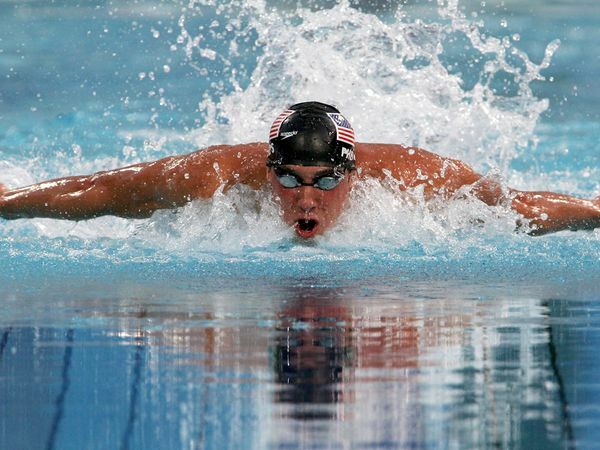 One of my favorite swim quotes ever is “The stages of a 200fly: Butterfly, Buttertry, Butterwhy, Buttercry, Butterdie”. I love this quote because it is hilarious, but also 110% true. All of my swim buddies think that I’m crazy for wanting to swim the 200fly at a meet, or not minding doing a 2.5k fly set in practice, and sometimes I think I’m crazy too! Here’s what I’ve realized about the 200fly; after the first 100m, your arms are hurting so bad that they become numb and you can’t even feel them anymore. At that point, all you need to do is move your arms in circular motions (which you are an expert at) and try to move through the water as quickly as possible. You don’t even need to think about what your arms feel like until later. After the race finishes, you will be so excited that you did well (hopefully) and that you finished! When you are floating there in the water desperately trying to grab onto the lane line, is when it hits you. You are gasping for air and using the lane line to keep you above the water, while also trying to rip your super tight goggles and cap(s) off your head. So here’s my point: a lot of people think that a 200fly is super long and really hard. Well it is really hard, but at the end of the day the 1st 100 is painful, but after that you feel so dead and numb everywhere that you can’t even feel the pain anymore. For all you swimmer’s out there who are terrified of the 200fly, maybe you should try it! And who knows, maybe you’ll fall in love with it like I did!